We are happy you enjoyed staying at our property. We look forward to hosting you again. The location and view was spectacular. This house has the potential of being a wonderful place to stay, but on a daily bases there were some sort of maintenance issue. For example, multiple water leaks throughout the house. Non-functional tub and shower faucets, we had to use pliers to turn knobs off and on. The highly advertised steam shower leaked water throughout the basement, maintenance had to come out late at night to clean up the mess. They wanted to start ripping out Sheetrock to start water restoration but we stopped them. We were not at to play pool on the first day because the pool sticks were broken, and the television in the main living room didn’t work. We attempted to cook frozen pizzas one evening but the thermostat on the oven was broken and there are no temperature numbers on the oven knob. With a little maintenance and TLC it could have been the perfect vacation home, but it was not. In conclusion, we would not recommend this property to anyone in it’s current condition. There were far too many issues and frustrations. Since our stay, we have read similar reviews with the same issues that have obviously not been addressed. Thanks so much for staying with us! We are glad you had a good time and hope to see you again! Great time - great space. Loved the management company Pioneer Ridge - so helpful! Place could use a good cleaning!! Linens and bedding were great, just older home with a little wear and tear! Thank you for staying here in Steamboat Springs with us! We are glad to hear that you enjoyed your stay here with us! We hope to see you here again in the near future! Great Property! Gorgeous home, had a fantastic time! Cabin on the Creek is a gorgeous place to stay! We held a small family reunion and thoroughly enjoyed our time here. The decor is very cute, the cabin is VERY large and spacious and catered to everyone from 3 to 73! The bar downstairs is amazing and we would love to know some of the history around it. We saw several deer around the property which amazed the kids. The numerous beds were comfortable and clean. Overall we really enjoyed being here and would stay here again. Hi Jennifer, Thank you for staying with us and the positive review! We are glad you had a good time and hope we can host you again with Pioneer Ridge. Gorgeous property, nice place and felt very cozy. The maintenance of the cabin is lacking a bit and wasn’t as clean as I would expect. I would stay at this property again, though. We have a great time!! We are glad you enjoyed your vacation, and we thank you for your feedback. 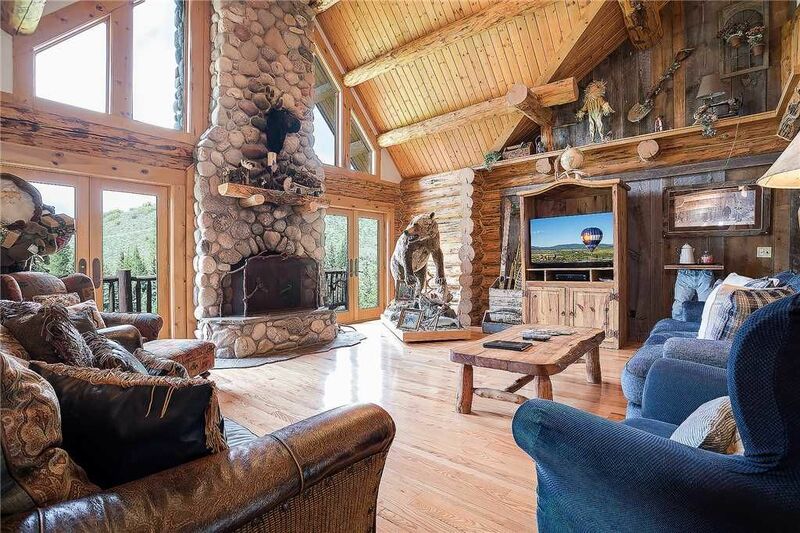 Keeping this spacious log home impeccably clean is always the goal for our hard-working housekeeping team. We are sorry to have fallen a bit short on this important detail of your vacation, and we are working with the owner on the maintenance items that you communicated to us. We really appreciate your open communication during and after your stay, and we look forward to hosting you again in Steamboat.